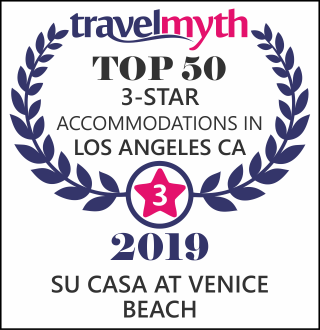 Look no further for luxury accommodation on Venice Beach Boardwalk! Su Casa at Venice Beach offers oceanfront vacation rentals and move-in corporate apartments with dazzling ocean views at competitive prices. Our 16 newly renovated, beachfront suites are conveniently located in the heart of the most famous beach in Los Angeles. 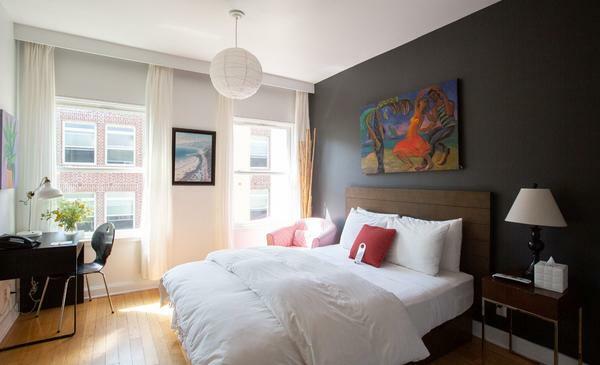 With a condo-style suite, you get the convenience of a homestay with the luxury of boutique lodging on the beach. 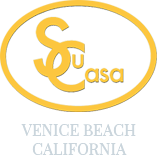 Whether you are looking for nightly, weekly, or monthly accommodations, Su Casa can be your home-away-from-home. We have a total of 12 picture-perfect oceanfront suites that provide a comfortable mix of intimacy and bohemian luxury. 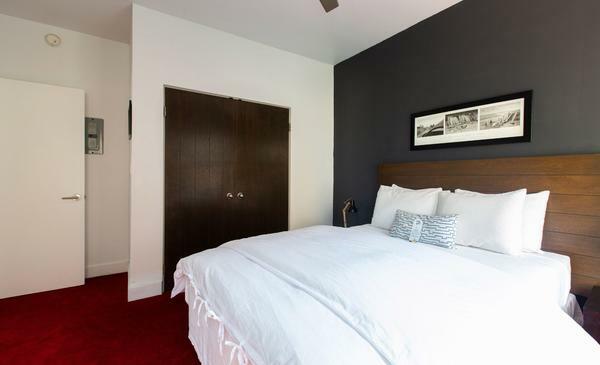 Family-oriented and pet-friendly, we offer queen studios, queen suites, 1-bedroom suites, 2-bedroom cottages, and 2-bedroom bungalows to accommodate all of your loved ones. 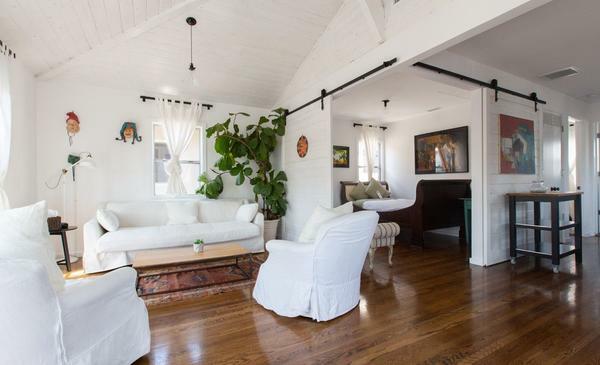 Su Casa is one of the best places to stay on Venice Beach. We want our guests to have an unforgettable vacation. That’s why we equip every suite with an A/C unit and offer convenient guest parking solutions, so you can stay cool and worry free. Wake up to the sound of the Pacific Ocean and dine at Figtree’s Cafe—our on-site restaurant with a delectable menu to choose from. For out-of-town guests, we strongly encourage taking one of the Starline Tours to see everything LA has to offer. We’re happy to help you plan the perfect vacation. 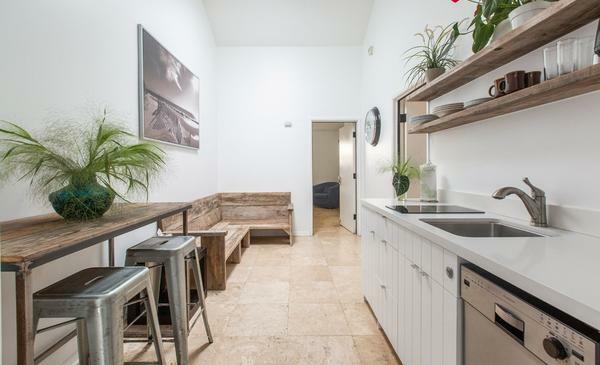 Call Su Casa at Venice Beach today to schedule a getaway at the most affordable, contemporary beach accommodations on the California coast. This place is AMAZING!!! Kyle and David were awesome and so very helpful! My room is clean and so beautiful! The view is breathtaking! I would rate 100 stars if I could! Definitely recommend! We were just a 20 minute walk to the Santa Monica Pier. We were close to muscle beach. The hotel is all suite based. 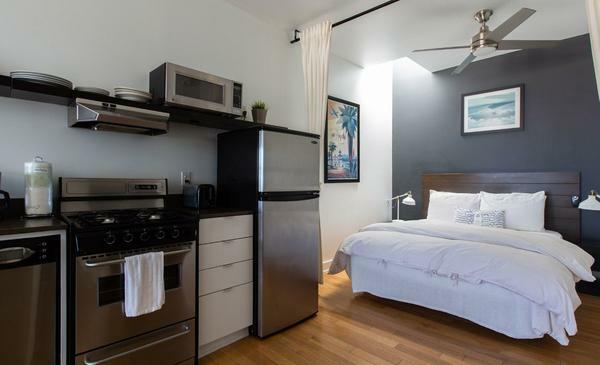 Comes equipped with a coffee maker, microwave, stove, sink & dishwasher! Was super roomy for my family of 4. There was a comfy bed, a pull out couch & we brought in a roll away. They also accommodated my 50lb hybrid. That is a plus for us, as we always travel with our dog. The A/C worked great! The tub was huge. The panoramic windows with Ocean View was great for people watching. Front desk- David, Kyle & Robert are just the best! We loved loved our stay & will always stay here with our dog. David was awesome! He went over a beyond to make our stay great!! I would recommend staying here to anyone! Thank you again David! Amazing apartment with a really nice view of Venice Beach and the ocean. The staff was incredibly attentive, the best service we had during our stay in LA. A very spacious rental with a view of the strand and beach. It was magical to be a part of the Venice experience. The staff was friendly and the restaurant downstairs was very convenient. Parking was a short walk away. Can't wait to go back. Par ce que vous le valez bien, "because you are worth it". Et à l'accueil David m'a aidé à régler des problèmes de parking et de péages d'autoroute. Tout le personnel est très pro et discute facilement avec vous et s'intéresse à vous comme savent si bien le faire les Americains! L'appartement est placé à un endroit idéal sur le Venice Beach Walk à deux pas du Skate Park et 25 minute du Santa Monica Pier. On peut régler la clim en mode chauffage et ajouter un radiateur. La cuisine est au top comme dans les magasines avec ses tabourets de bar en galva. Il y a même une cuisinière et un four en plus des traditionnels micro-onde. Le frigo est immense. Il y a de la vaisselle, un grille pain, une cafetière et du café et thé et sucre dans le tiroir, le rouleau d'essuie-tout, et des placard en veux-tu en voilà partout et un coffre fort. Le must: tous les sols en parquet! J'aime aussi le détail à la salle de bain du fil à linge rétractable au dessus de la baignoire. Et bien sûr le sèche cheveux et les petits échantillons de produits de toilette. Il y a même une terrasse avec vue sur l'océan mais il y avait trop de vent pour en profiter. Bien sûr c'est un luxe qu'on n'oserait pas se payer plus d'une nuit car on trouve toujours que c'est trop cher mais on n'a pas regretté car c'est vraiment un endroit grisant. Il y a des petites boutiques sur la Beach Walk et des restaurants si vous voulez. Et on dort très bien. Not possible to be any closer to the sand. The Fig Tree cafe is right below the hotel for delicious Lattes and breakfast. Kyle and the staff always are helpful, friendly and eager to share a suggestion for dinner or activities. This place is AMAZING! 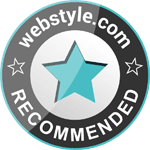 Kyle and David were super helpful and a pleasure to deal with. The room is spectacular! Everything is clean and the view is breathtaking! I highly recommend this place. I'd give 100 stars if available! Stayed here before and love it! This visit was really fab with comfortable rooms and a great breakfast place where I met Dominic West! It’s a really lovely spot right overlooking the beach and a short walk to many great shops and bars in both Venice and Santa Monica. A big shout out to the friendly David who can’t do enough for his guests. A Must on your things to do if on vacation from anywhere or just a quick get away! We are on trip number 3 to our favorite place we will not give our money to anyone else. Robert and David Bring excitement as soon as you walk through the doors and to top if of the General Manager is just as awesome! it starts at the top and when you have a good team of employee's you can't but have a great stay at Su Casa!!! The staff will surely make sure you have everything that you need and the rooms are beautiful and cozy. House keeping are on time and clean very well. Please don't be deterred by negative comments or reviews it's a must see for yourself type of experience the view from the rooms are great!!!!! We love it so much that this is our 3rd trip in less than a year....... Su Casa ROCKS! There are also many good food options within walking distance. One night I decided to stay in and ordered some delicious Thai delivery. I saved $10 that night because the premium movie packages were included. The 50% off breakfast for the adjacent restaurant was nice because of the high quality of their food. Maids were good, new paint, new bathroom fixtures, clean windows. Low-key yet high-class atmosphere. No complaints here. Would return.